From 8am to 7pm, Monday to Friday, February 20th through March 9th, Watson Library is open to all current graduate students, undergraduates in economics, faculty, and staff. At all other times during these two weeks, i.e. after 7pm until close and all open hours on Saturday and Sunday, Watson Library is available to all University affiliates. If you need materials or services during the 8am to 7pm period designated above and you are not in one of the groups listed please ask a library staff member for help. 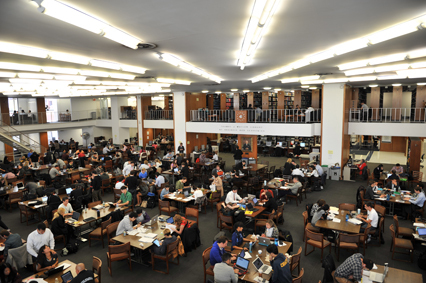 If you have any questions, please contact our staff at 212-854-7804 or business_circulation@library.columbia.edu. Thanks. This entry was posted in Hours on February 13, 2017 by Michael.